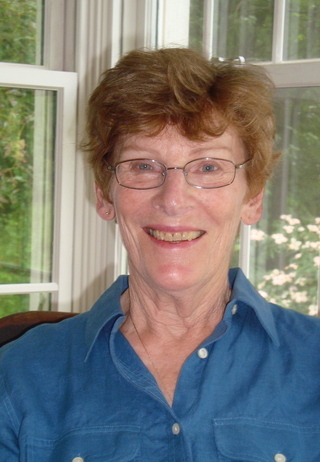 Though Maureen Brady wrote the humor column of her junior high school newspaper, she didn't actually comprehend that she was a writer until after she had moved to New York City in her twenties, where she began taking writing workshops at The New School and then fell headlong into the consciousness raising groups of the early 1970's. She published her first novel, Give Me Your Good Ear, in 1979, and it was published by The Women's Press in England in 1981. Her novel, Folly, was excerpted in Southern Exposure, received wide critical acclaim, was nominated by Adrienne Rich for an ALA Gay Book Award and was reprinted as a classic by The Feminist Press. She published a collection of short stories, The Question She Put to Herself, in 1987, then turned to writing nonfiction in the '90's, publishing Daybreak: Meditations for Women Survivors of Sexual Abuse and Midlife: Meditations for Women. She returned to fiction with the novel, Ginger's Fire, and her most recent novel, Getaway. Her recent work has appeared in Sinister Wisdom, Bellevue Literary Review; Just Like A Girl; Cabbage and Bones: Irish American Women's Fiction, Mom, In the Family, and Intersections: An Anthology of Banff Writers. Brady's essays and stories have been nominated for the Pushcart Prize and were finalists for the Katherine Anne Porter Fiction Prize and the Nelsen Algren Short Story contest.